The last couple of decades has seen the thriving rediscovery of transnational women artists by feminist art histories. As new research has introduced artistic practices from different parts of the world to wider, mostly English-speaking audiences, more transnational artists have entered the global art world, capturing the attention of publishers, curators and collectors. Consequently, artists such as Saloua Raouda Choucair (1916–2017) and Carmen Herrera (b. 1915) have had retrospective exhibitions of their work in the hotspots of the global art world and have been championed as pioneering artists of the twentieth century alongside fellow artists such as Georgia O’Keeffe (1887–1986) and Lee Krasner (1908–1984). 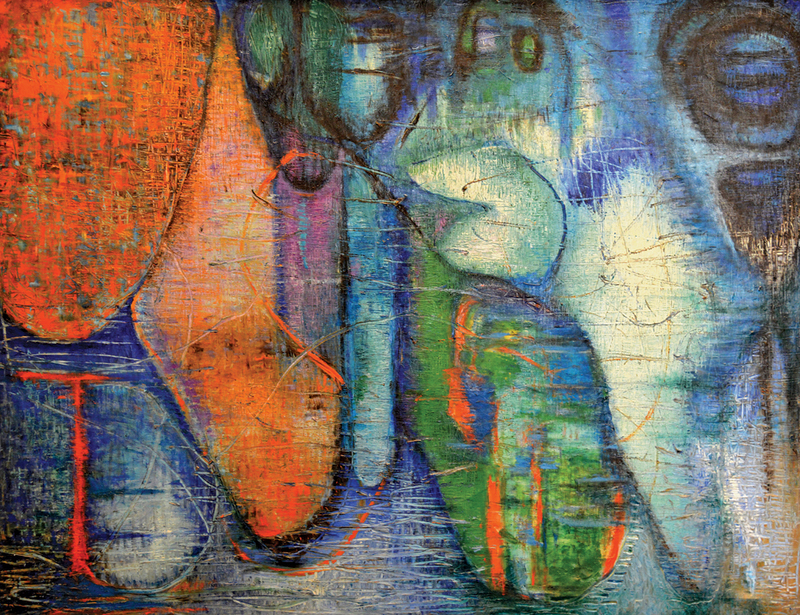 The major exhibition of Fahrelnissa Zeid (1901–1991) organised by London’s Tate Modern in 2017,  which travelled to Berlin and Beirut over 2018, is the latest instance of this tendency that bestows a new and widespread viewership on the art of this Turkish woman artist. The exhibition strived to replace her within the narratives of transnational abstract practices of mid-twentieth century art. While the troubling ‘Eurocentric’ framing of the exhibition by the media was not missed by critics,  the concurrent publication of Adila Laïdi-Hanieh’s monograph, Fahrelnissa Zeid: Painter of Inner Worlds, undeniably unfolds the life and art of Zeid in ways that upset the art historical narratives, explicating her art from an ‘Orientalist’ perspective in a way quite disengaged from the artist herself. Organised in nine chapters, the monograph traces the story of the artist chronologically from her formative years in the 1920s to her ‘late style’ in the 1980s, with elaborate descriptions of her style and techniques that define and distinguish particular periods in her career. 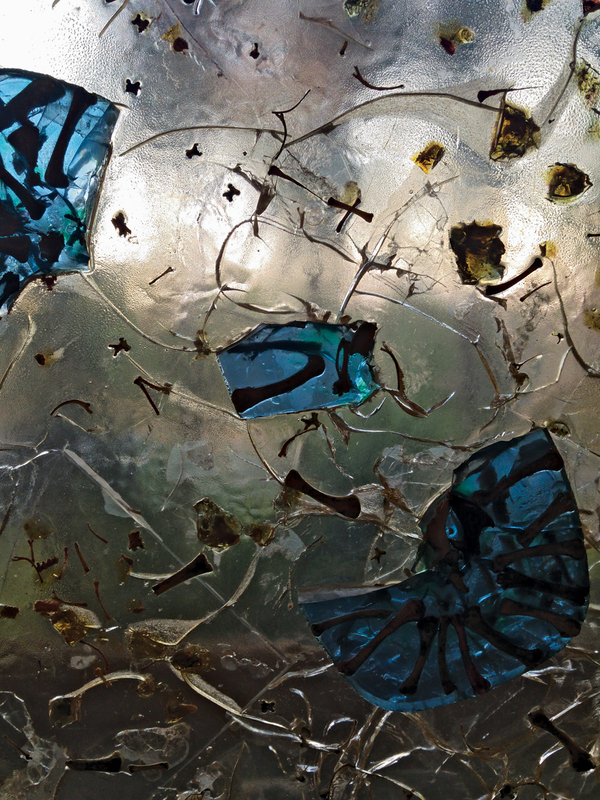 It offers the reader an exclusive opportunity to encounter the extensive range of Fahrelnissa Zeid’s body of work, drawing together the pieces from different genres and materials, including her paintings, painted pebbles, and poultry bones cast in resin called paléokrystalos. The monograph makes expansive use of Zeid’s family archive in Amman, in addition to the book A Turkish Tapestry: The Shakirs of Istanbul (1996) by Zeid’s daughter, the actress Şirin Devrim (1926–2011), which chronicles the lives of her mother’s upper-class Ottoman family. More importantly, it draws upon Zeid’s memoirs, giving important insights into her inner world and her imaginary and mental state while providing the readers with ‘a revisionist biography’ (p 7). Zeid’s creative and social settings across Europe and the Middle East, including some of the global cities of the century, such as Baghdad, Berlin, Istanbul, London and Paris, are situated alongside some significant social and political events of the twentieth century. The demise of the Ottoman Empire, the Second World War, Iraq’s independence from Britain (1932) and the 1958 coup d’état in the same country are thus laid out in the monograph as some of the events that indicate if not explain the notable transformations in Zeid’s life and style. The first two chapters detail Zeid’s intellectual formation between 1901 and 1940. Although the versatile artistic interests of the family members emerge as both the provenance and offspring of Zeid’s interest in art, these chapters place emphasis on her own artistic tenacity and her ‘headstrong and independent’ spirit (p 22) as the core of her creative drive. This exact inner stimulation takes her to the School of Fine Arts in Istanbul in the 1920s following a rigorous education at selective secondary schools in Istanbul during the Great War. Zeid’s fascination with sea imagery is explored in these chapters, which, along with the visions of her first experience of flight, also appear in the book as underlying visual inspirations for the artist’s abstract paintings. Deep-seated links between Zeid’s art as a mind-intensive creative process and her psyche as a chasm between her ‘unstoppable’ ‘“strong-willed”’ personality and ‘depressive’ disposition (pp 45–46), thus emerge as a recurring theme throughout the monograph. Establishing this connection enables Laïdi-Hanieh to assert Zeid’s subjectivity within her oeuvre ‘despite the cultural imperative’ (p 43) while, perhaps not surprisingly, adopting a psycho-biographical approach in addition to her formal analysis. The artist’s intrinsic alignment with European art and culture are also explored in the first chapters alongside her first infatuations with the canonical works of Western art history and literature. The travels Zeid and her first husband made to European capitals in the 1920s not only presented her with the opportunity to experience European culture in person but also to continue her studies for some time at one of the private art academies of Paris, the Académie Ranson. 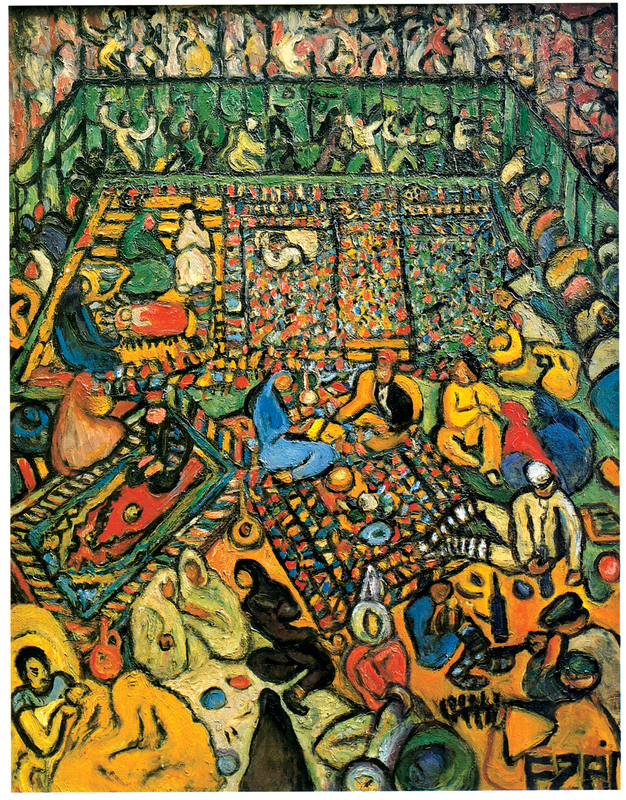 The events following her second marriage in 1933 into Iraqi royalty mark a new era in the artist’s life, raising her to the status of ‘a diplomat’s wife and royal princess’ (p 47), during which she produces the first paintings in her radiant expressive style. Accompanied with images of Zeid’s first watercolours and drawings from her sketchbooks, the portrayal of the artist in these chapters is therefore comparable to a rite of passage through which she takes her first steps towards becoming an artist while at the same time discovering her new identities as a wife and mother. Tracing Zeid’s stylistic development and the track record of exhibitions across post-war London, New York and Paris between 1947 and 1957, chapters four and five rightly address the question of ethnocentric discourse in Western art history. Contrasting her reassessment of Zeid’s first abstract paintings with the critiques of the period, and justifiably drawing on the opinions articulated in the artist’s memoirs, Laïdi-Hanieh suggests a new course for the advent of the abstract in Zeid’s body of work and assigns new dates for some of her paintings. Looking for ‘the real origin of her switch to abstraction’ (p 112), these two chapters thus relocate her work within her subjectivity, ‘a combination of inner perspective and outer vision’ (p 131), defying the readings that tie her work with Byzantine mosaics and Islamic calligraphy insofar as to reinforce the idea of the ‘Oriental’ painter (pp 129–130). These chapters give an account of the interpretations of Zeid’s work, particularly by European critics, who in judging her work essentially by its formal resemblance with some of the non-Western artistic traditions not only demonstrated the well-established interest for formal analysis in ‘Modern Art’ but also the tendency to see art as an activity detached from its creator. In this scenario, the cultural origins of the artist account notably for the content and the techniques in question (pp 144–145). This outlook swept through modes of art history writing, particularly in the countries going through different stages of nation-building. The reading of Zeid’s abstractions along these lines, well addressed by Laïdi-Hanieh, still survives as an art historical trope in contemporary art histories of Turkey. The representations of Zeid as a subscriber to the New School of Paris in the 1950s point to yet a different aspect of the politics of writing art histories. While art critics of the time in France unsurprisingly placed Zeid as an ‘exotic artist’ materialising ‘hereditary instincts’ (p 144), the depiction of Zeid’s artistic quest as a straight trajectory from abstraction to her alignment with the School of Paris constitutes one of the threads that epitomises the problematic construction of art around a narrative of (national) progress in Turkish art histories. If what Laïdi-Hanieh defines as ‘a process of artistic maturity’ (p 122), while undeniably constructing Zeid’s subjectivity, re-enacts as the making of a canonical artist so often encountered in the master narratives, it seems to be a result of the striving to reclaim her place in global art history. 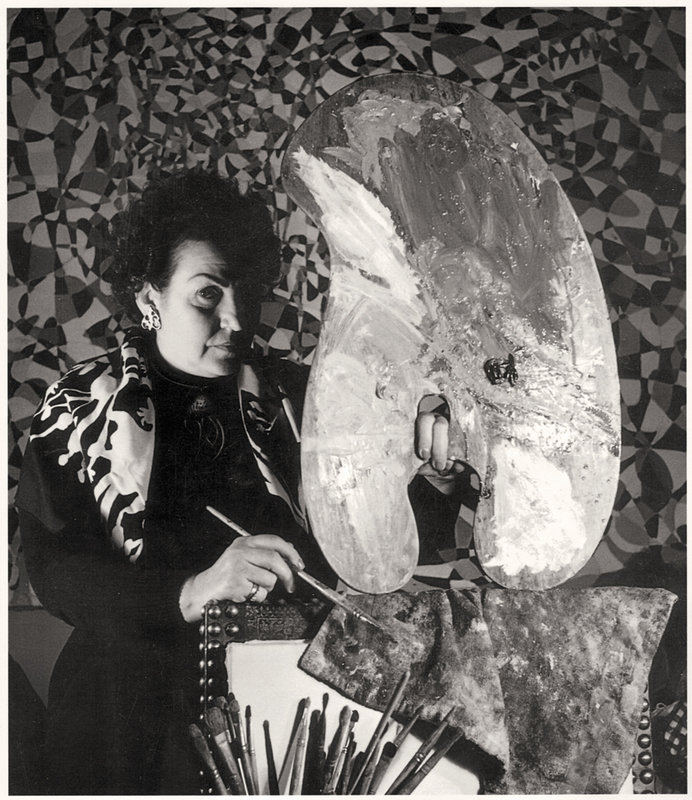 In the 1950s, Zeid exhibited her signature ‘kaleidoscopic abstract canvases’ in New York and in 1954 she became the first woman artist to have a solo exhibition at the Institute of Contemporary Art (ICA) in London. Despite her achievements, as Laïdi-Hanieh demonstrates, Zeid found herself caught up in an ethnocentric if not a ‘nationalist’ web in some of the Western cultural capitals (pp 102–105). Unfolding the differences between the artistic contexts of Paris, London and New York, chapters four and five address the transnational positioning of the post-war European art world in stark contrast with the way French and British critics framed Zeid’s work in that period. As the chapters progress, it becomes clear, however, that even the ‘cosmopolitan’ New School of Paris eventually proves to be gender-biased and Eurocentric (p 169). Chapter six, in looking at a short period of three years between 1958 and 1961, traces the mental and material conditions of Zeid’s life following the 1958 revolution in Iraq. Chapter seven looks into the ‘new artistic practice that she would develop’ (p 199) in the following years, which would lead critics to turn from ethnocentric interpretations and move towards the kind of readings that place Zeid’s art inside the orbit of Kandinsky’s abstract paintings. This chapter also documents Zeid’s relation to the important cultural figures of the 1960s, including the French novelist and the Minister of Cultural Affairs, André Malraux (1901–1976). Her links with personalities such as the Surrealist writer André Breton (1896–1966), the co-founder of the ICA Roland Penrose (1900–1984), and the art critic Charles Estienne (1908–1966), alongside her fascination with the art of the old masters, including Brueghel (the Elder), Matisse and Bonnard, which are ingeniously laid out throughout the book, enables Laïdi-Hanieh to make a case for Zeid at the locus of the twentieth-century European art history. Further exploration of the significance of the prominent women figures in Zeid’s many artistic milieus – including the gallerists Iris Clert (1917–1986) and Katia Poliakoff (1895–1989), as well as her sister, the painter Aliyer Berger (1903–1974), and her niece, the ceramicist Füreya Koral (1912–1997) – would have enriched the study. The final two chapters of the book discuss Zeid’s later works in terms of their psychological depth and spiritualist approach (pp 242–243) while weaving her ‘late style’, as termed by Edward Said, together with the visceral portraits she had made in different stages of her life (p 265). The book concludes with a reconsideration of Zeid’s artistic endeavours and her legacy in Amman where she was based from 1975 unt­il her passing in 1991, teaching art to younger generations of women, including Laïdi-Hanieh herself, and stimulating the 1980s art scene in Jordan. Such a critical revisiting of Zeid’s work is a timely and much-needed contribution to the study of transnational feminist art histories. As Laïdi-Hanieh addresses some of the pivotal questions in art history, she successfully disrupts the art historical tropes on Zeid’s art extant in narratives. This lavishly illustrated book, featuring both Zeid’s art and a range of photographs showing her in different stages of her life (as a young woman from a high-profile Ottoman family, a fine arts student in Istanbul, a mother in Republican Turkey, a member of the royal Iraqi family, an emerging artist in Paris and a teaching artist later in her life in Amman) further elucidates the ways in which Zeid’s intertwined identities defined her distinct style and process of art-making. Bringing in Zeid’s own voice through her diary entries, interviews and correspondences into the reconsideration of her art offer unprecedented ways to help us further comprehend and engage with the artist’s work. Ceren Özpınar is the author of The Art Historiography in Turkey (1970–2010) [Türkiye’de Sanat Tarihi Yazımı (1970–2010)], Tarih Vakfı Press, 2016. She currently teaches at the University of Brighton in the School of Humanities. Previously, she was a British Academy Newton International Fellow at the University of Sussex (2015–17) in the Department of Art History. Her article, ‘The Istanbul Biennial and the Reproduction of the Urban Public Space’, appeared in Art & the Public Sphere (vol 7, no 1, July 2018 https://doi.org/10.1386/aps.7.1.7_1) while others are forthcoming from Art Journal and Art in Translation. Özpınar is currently co-editing a book with Mary Healy-Kelly on feminist art from the Middle East and North Africa and writing her next monograph, which investigates the relationship between art history and women artists in Turkey, for the British Academy/OUP.